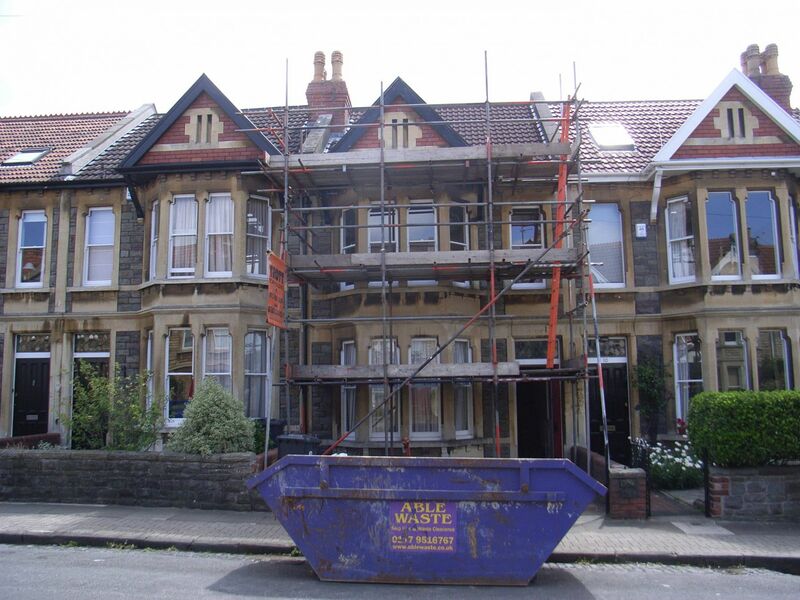 For this property renovation in Bristol we brought a neglected Victorian house into the 21st century. With increased functionality and natural light in the living spaces, our client now owns a stylish, beautiful home. Working with Nick on this project has been a pleasure. He is a man of firm opinions and convictions, and his tastes in furnishings and décor are clearly rather more radical than my own … I have no hesitation in recommending him. 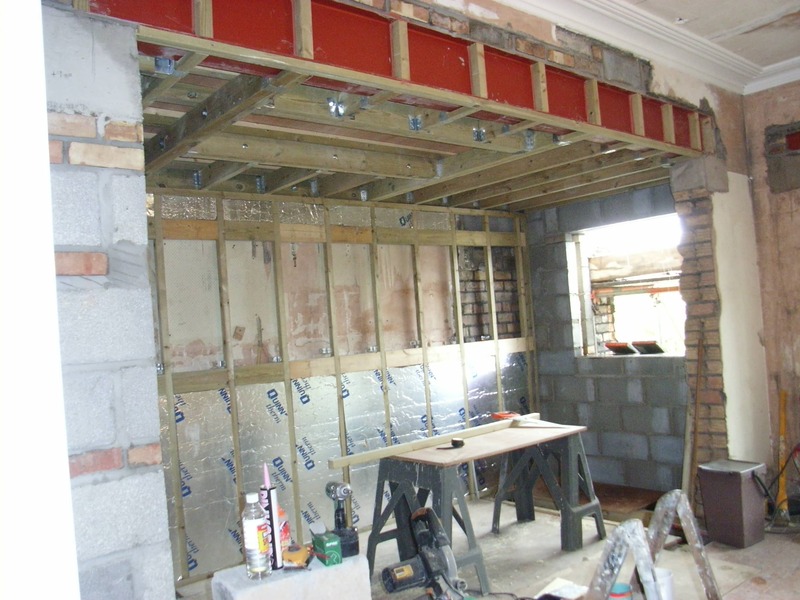 The main task was to remove a load bearing wall and build a small extension. 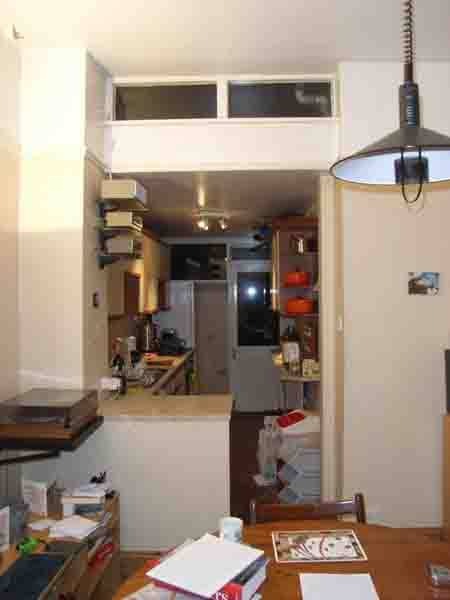 The resulting open plan kitchen diner would open out onto a patio through new bifold doors. We fitted a rooflight to the flat roof to flood the kitchen with natural light, along with plenty of recessed LED downlighters. 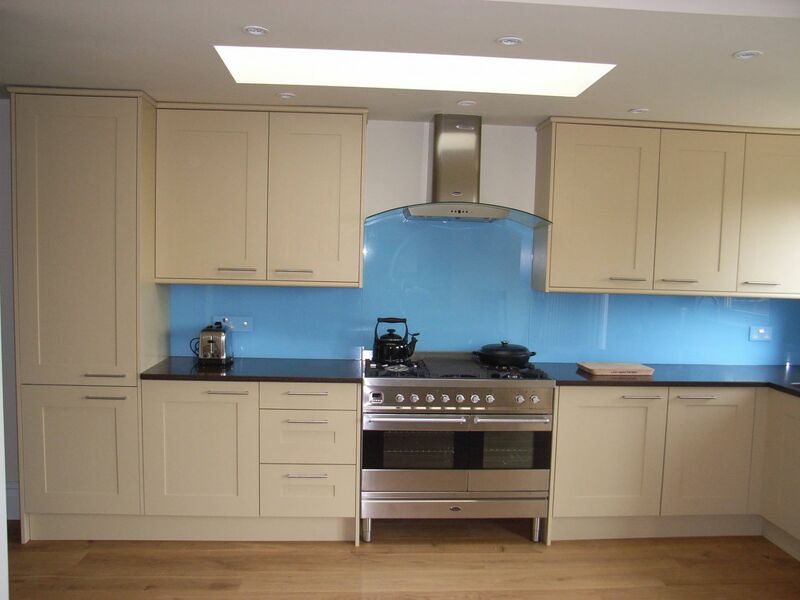 Having shown our client various kitchen styles, he settled on a painted timber shaker design. To complete the decorative scheme, we assembled combinations of cabinet colour with wall finish, worktop, splashback and worktop. 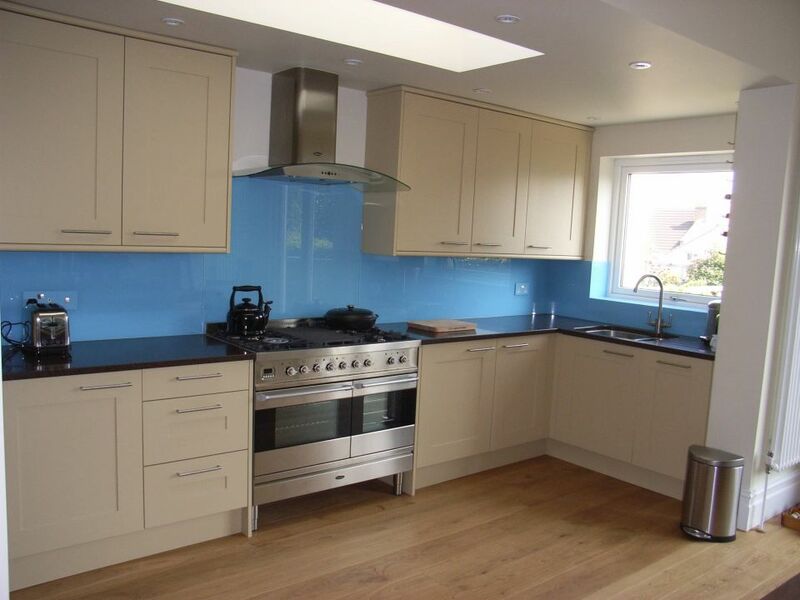 Our client chose the quartz worktop with blue glass kitchen splashback. He preferred this modern range cooker from the options we presented. To give it greater prominence, we installed a curved glass cooker hood venting through the flat roof. 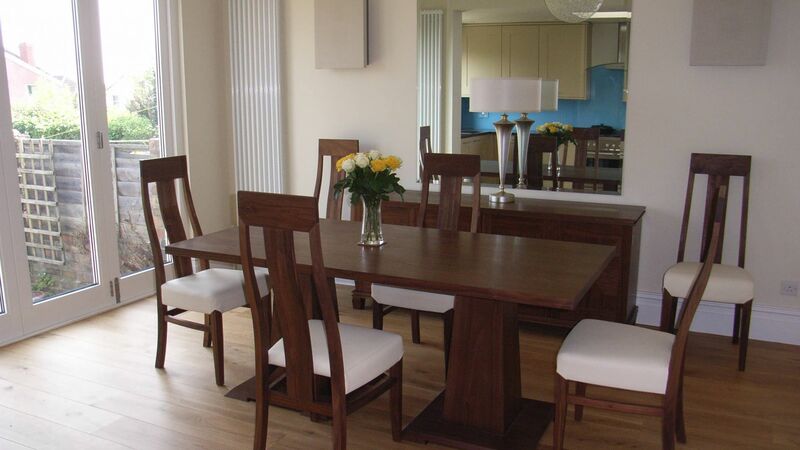 We chose contemporary furniture and lighting for the dining area. Our specialists colour-matched the loudspeakers to the walls, and we installed the hifi equipment in the sideboard. 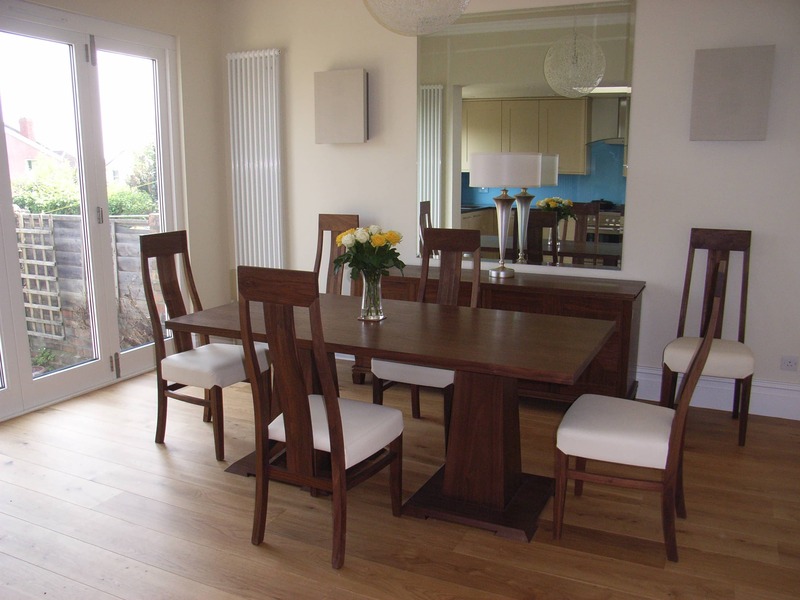 To make best use of space, we installed tall radiators on the walls allowing furniture to fit neatly in between. To make the space feel bigger we installed this large frameless bevelled mirror. 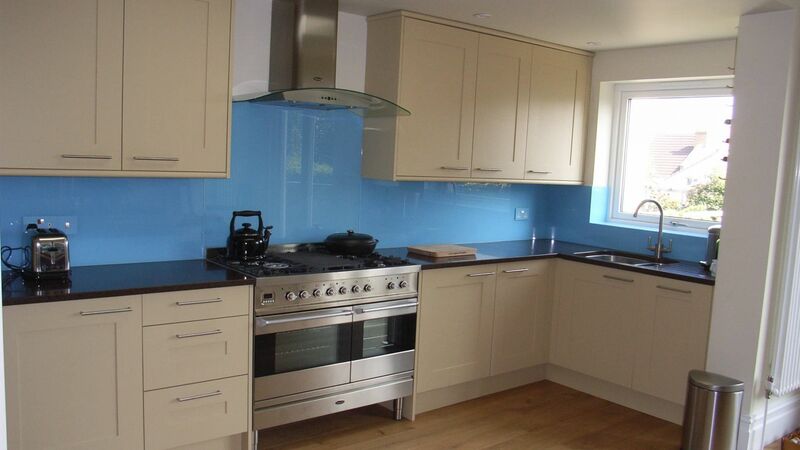 Not only does this add class to the space, it also reflects the beauty of the blue glass kitchen splashback. Later you can read more of our detailed advice on kitchen design. The wide 220mm engineered oak floor sweeps from the hall to the kitchen diner creating a seamless transition between the spaces. 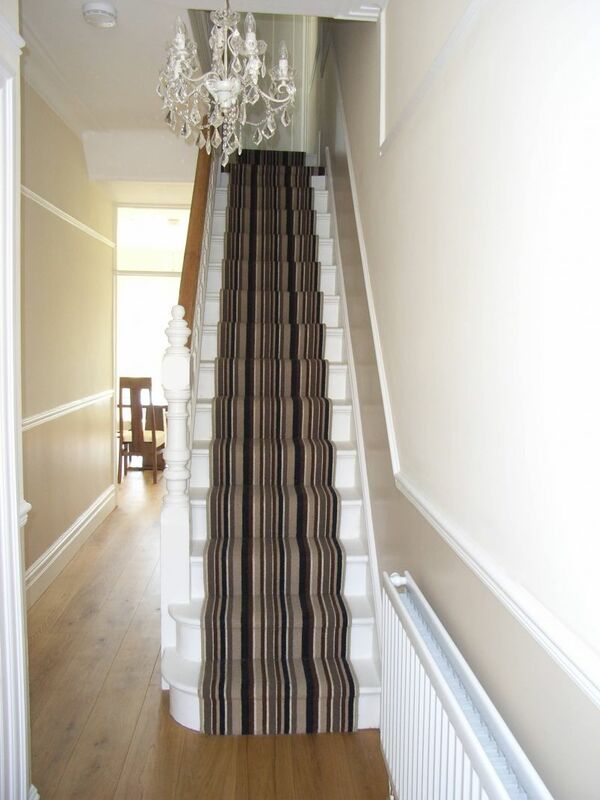 We fitted a dramatic striped carpet runner up the stairs to the first floor landing. 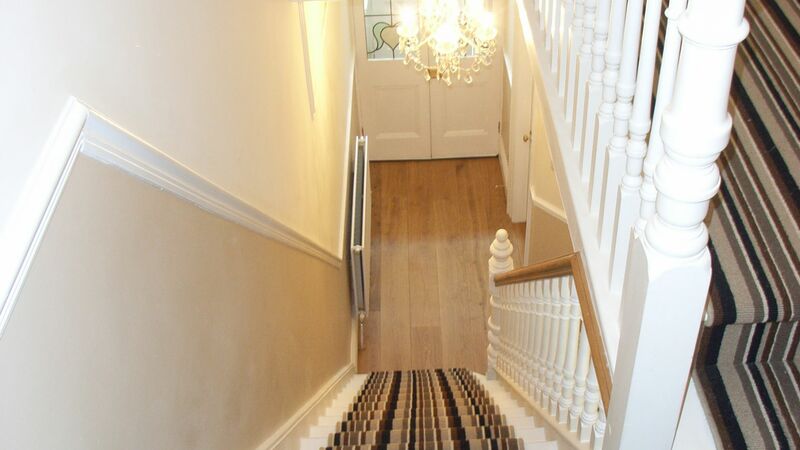 Decorators stripped and repainted the stairs and spindles leaving the handrail in natural pine. 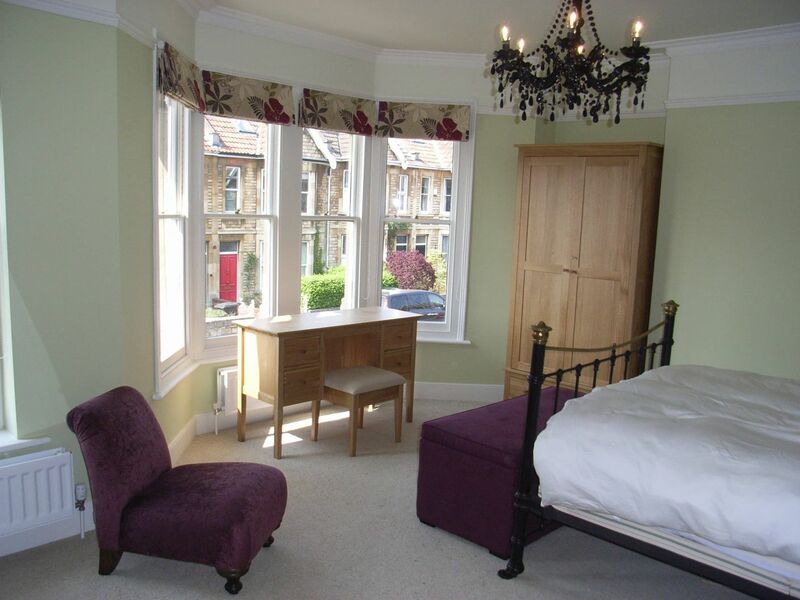 Decorating all bedrooms, we supplied carpets, blinds and bedroom furniture. 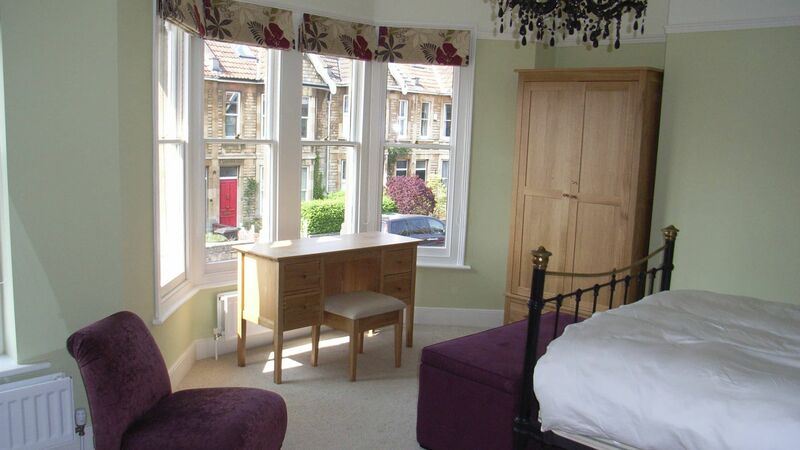 We fitted floral roman blinds to the bay window in the master bedroom in contemporary style. 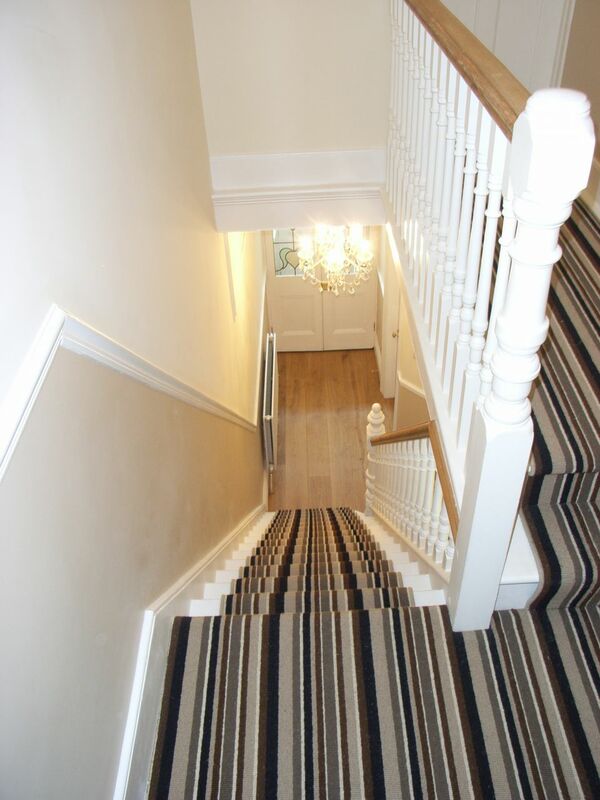 A medium pile carpet provides a sumptuous feel underfoot. The black baroque chandelier offers a hint of glamour. 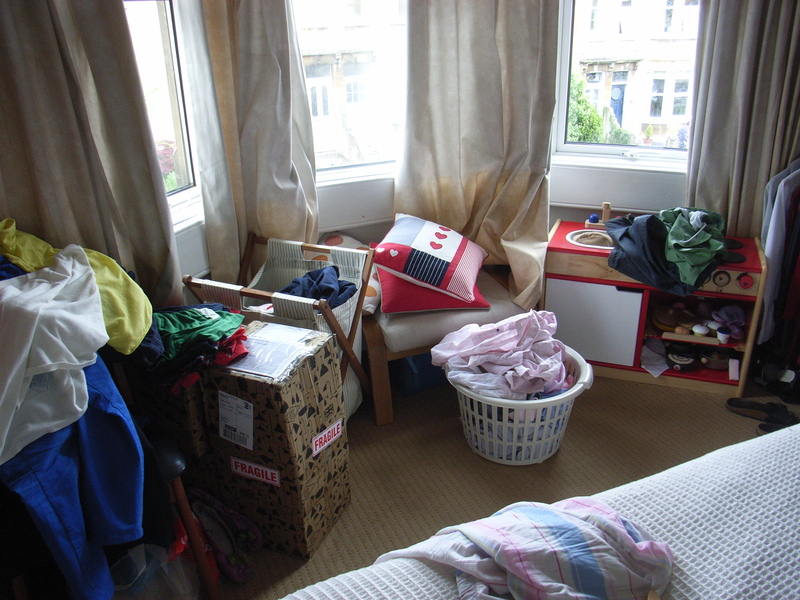 We have written separately on choosing curtains and blinds. 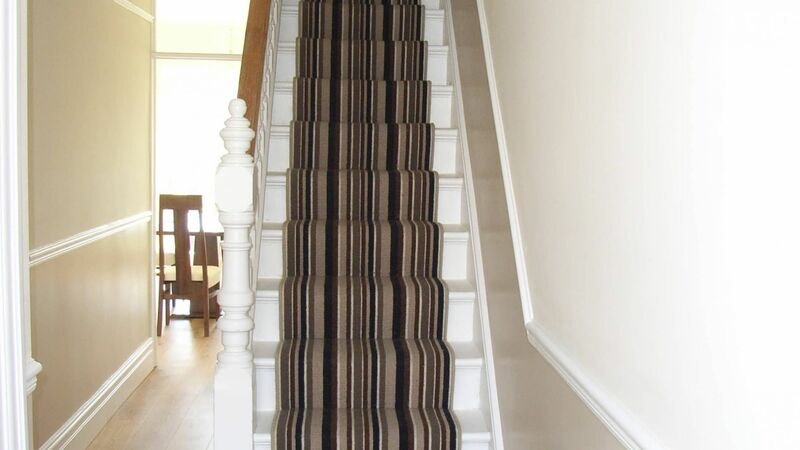 We installed an understairs cloakroom, re-felted and battened the roof and decorated throughout. Because every modern home needs its home network, we also installed CAT5, aerial and satellite cabling. Our client now enjoys high quality music streamed via a multi-room music system and satellite TV with surround sound. 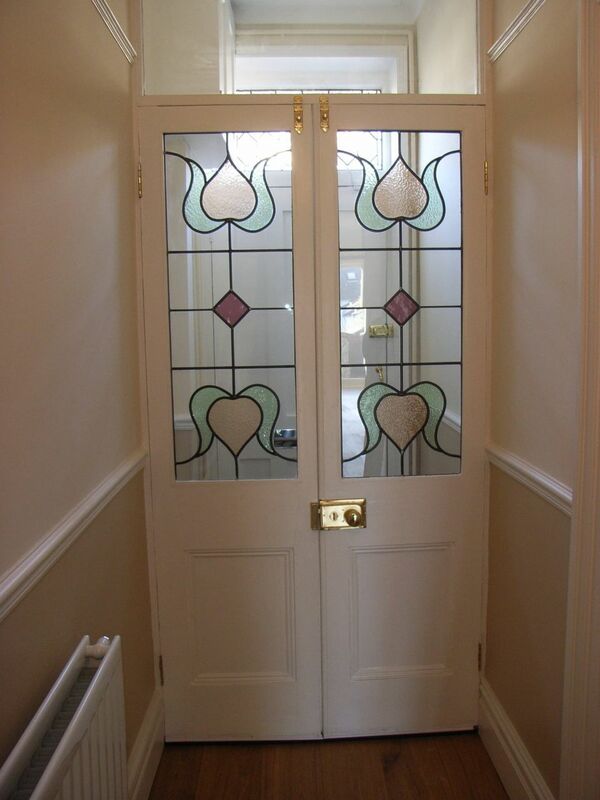 We designed and fitted contemporary stained glass panels in the lobby doors, reflecting the original glass over the front door that we repaired. 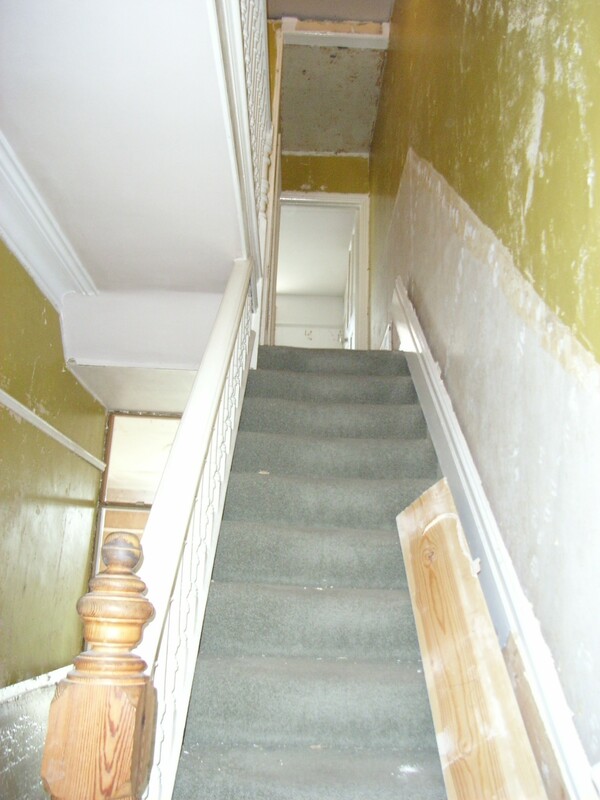 The work took around 5 months, during which our client saw his house torn apart, then rise like a phoenix. Completely transformed, he is now the proud owner of a smart, elegant and welcoming home. 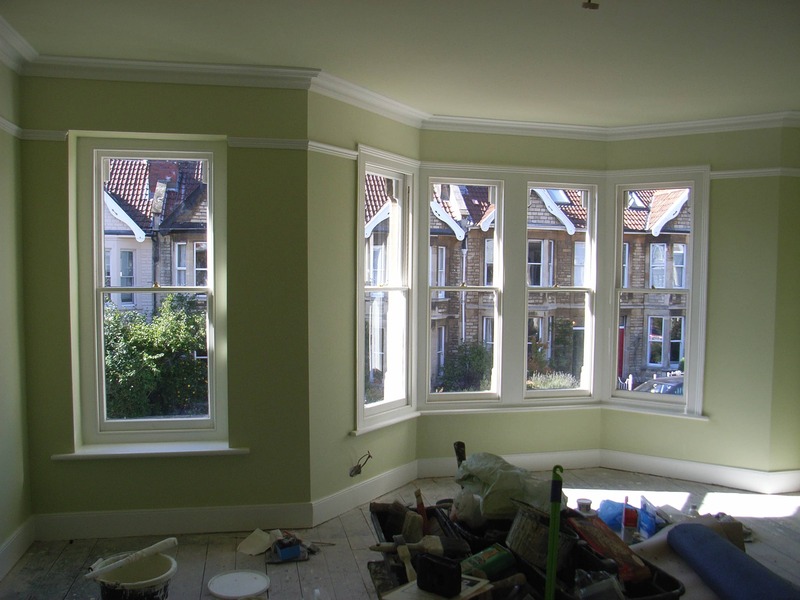 If you are interested in your own Edwardian or Victorian property renovation in Bristol, you might care to visit our portfolio. 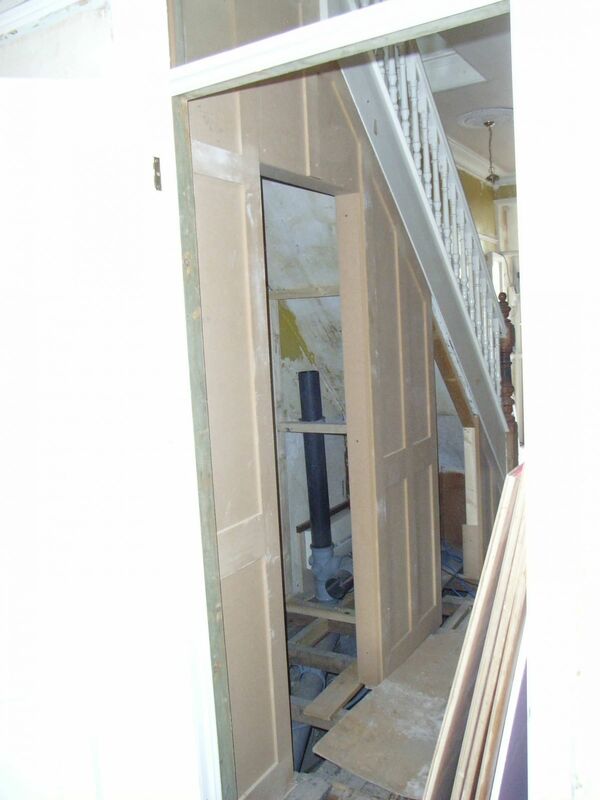 There you will find a glass extension for a terraced Edwardian home, a basement conversion for that same Edwardian house renovation, a Victorian house renovation with contemporary twist, and many others. To help you budget for property renovation in Bristol and Bath, we share prices and costs from previous projects. You can read more by clicking here.